A great many people are willing to acquire properties in Bulgaria, a local news outlet in Novosibirsk, south-central Russia, has said. 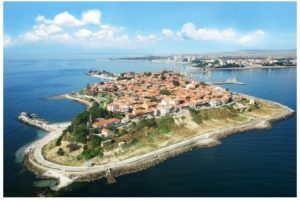 This is “the right choice”, the brief report explains, pointing to several reasons to explain and to place focus on the ancient town (and now popular resort) of Nessebar in particular. Property secures a means of low-risk investment, especially in terms of inflation, and in Bulgaria this is combined with the prospect of purchasing real estate at a lower price “than in other countries,” Tayga.info suggests. Tranquility, low crime rates and a relatively preserved environment also add to the appeal, alongside the fact that it doesn’t take too much money to live here. Seaside properties, on the other hand, are considered “a piece of heaven”, Tayga adds. It sets the example of the Black Sea town of Nessebar, a UNESCO World Heritage Site which combines respite with cultural tourism due to its specific history and geography. Nessebar’s Old town is described as something like “Bulgaria’s main museum” since it draws a lot of tourists from across the globe.